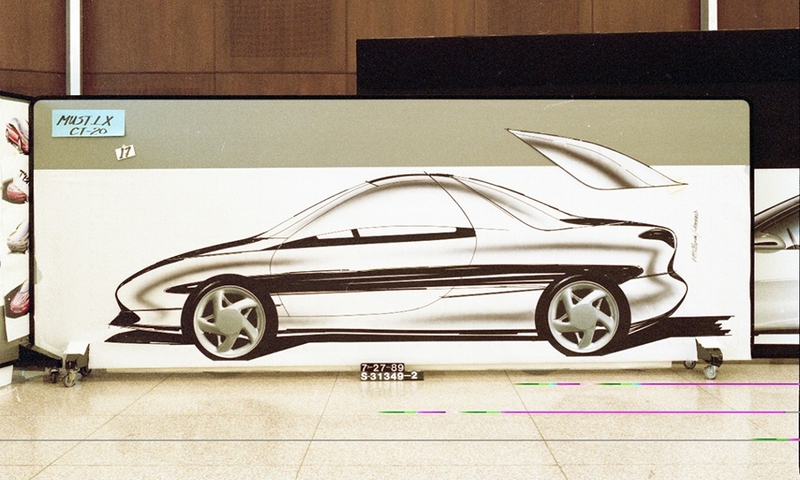 Two decades after the iconic Ford Mustang first debuted, designers and engineers reached a crossroads. 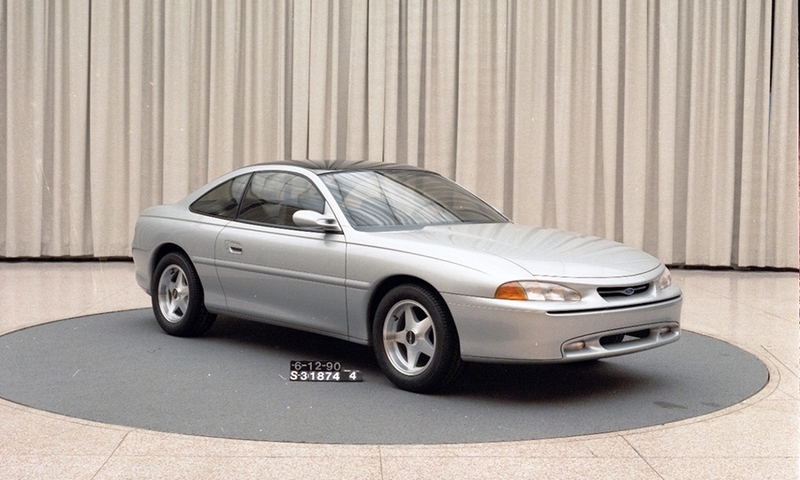 A production-intent version of the fwd Mustang that later became the Ford Probe. 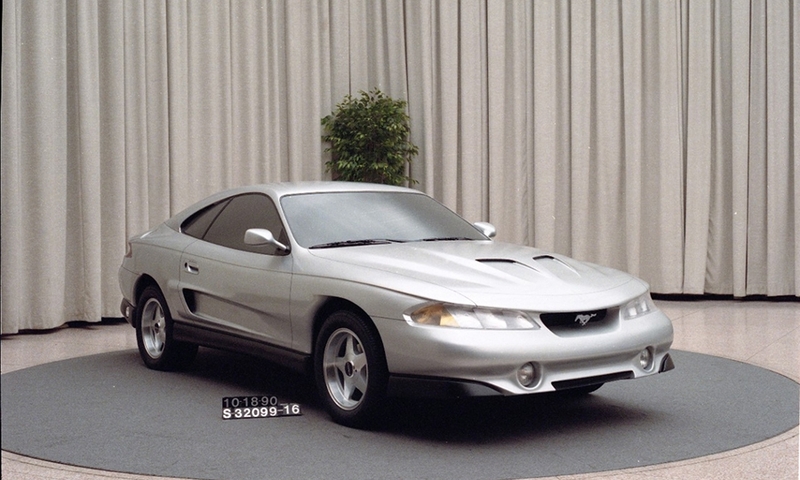 The Mustang design team had three designs to choose from: a conservative design named Bruce Jenner, an aggressive one dubbed Rambo, pictured above, and an in-between design called Schwarzenegger. A combination of the Rambo and Schwarzenegger designs. 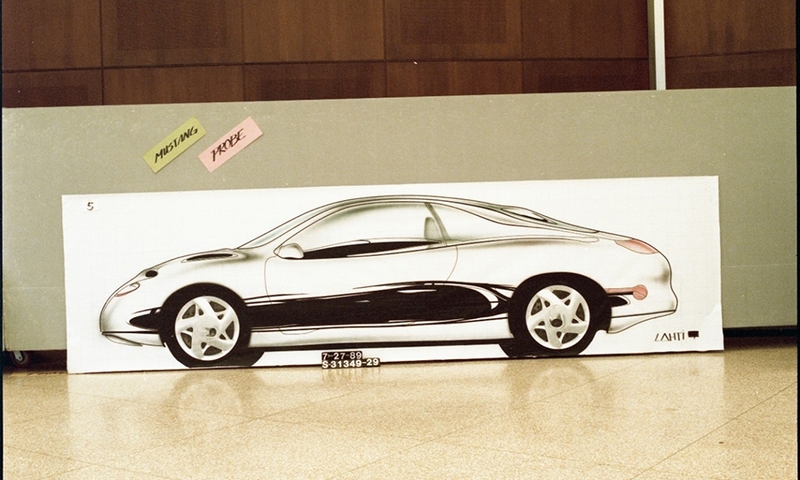 The one full-sized clay model of the fwd Mustang concept. A shooting-brake rendition of the Mustang. Ford considered the wagon-like design to compete with cars like the Volkswagen Golf GTI. 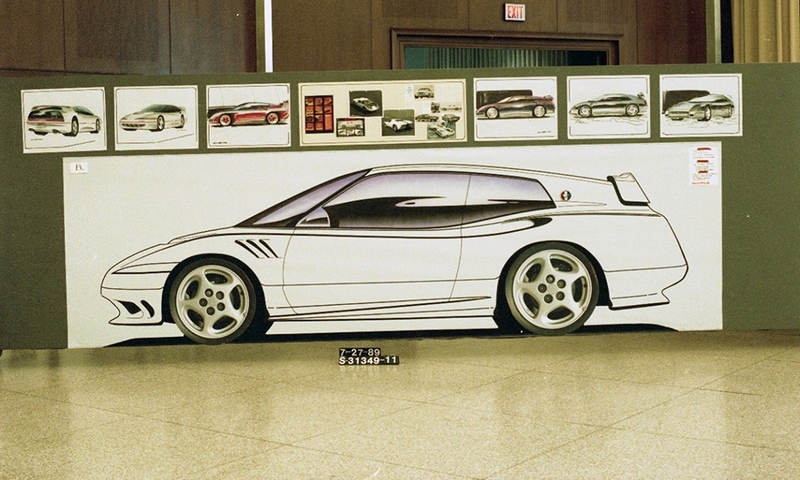 This sketch shows a removable back panel to increase rear-seat space. The Schwarzenegger themed design emerged victorious in October 1990. Shortly after, the SN-95 program became official with a $700 million budget, $200 million over the original target -- the only goal the group failed to hit. 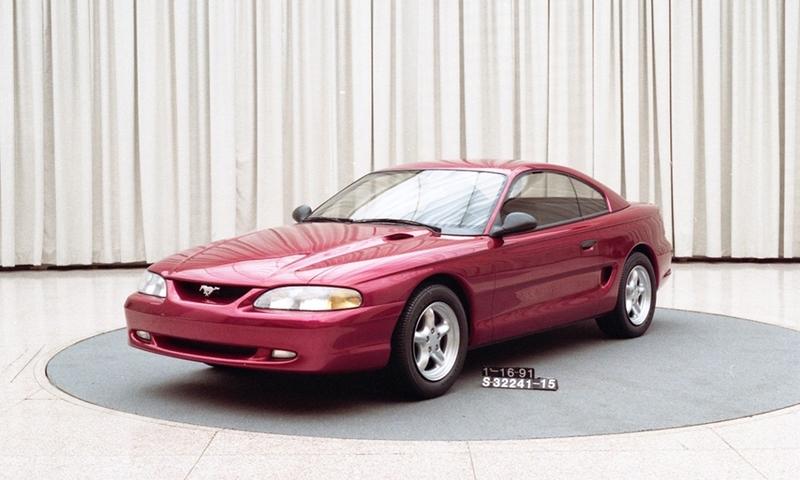 Where to go with the future of the pony car? 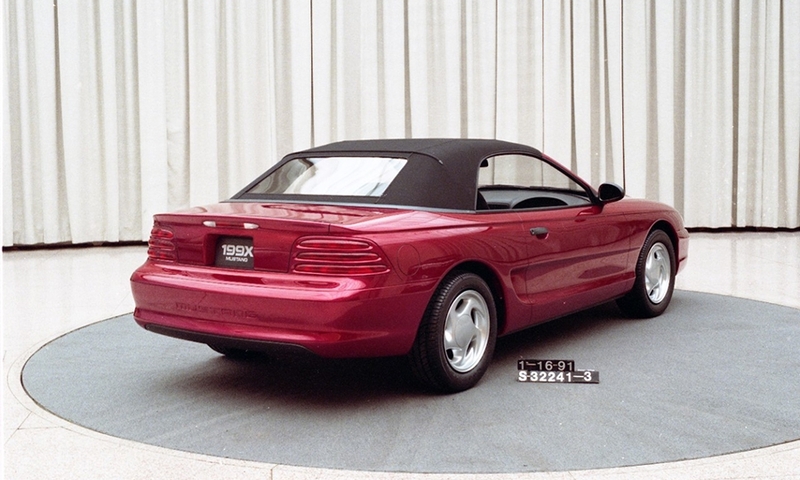 The story of how the Mustang nearly became a front-wheel drive, Mazda-based car for the 1989 model year is the tale of the Mustang's closest brush with death in its 50-year history. 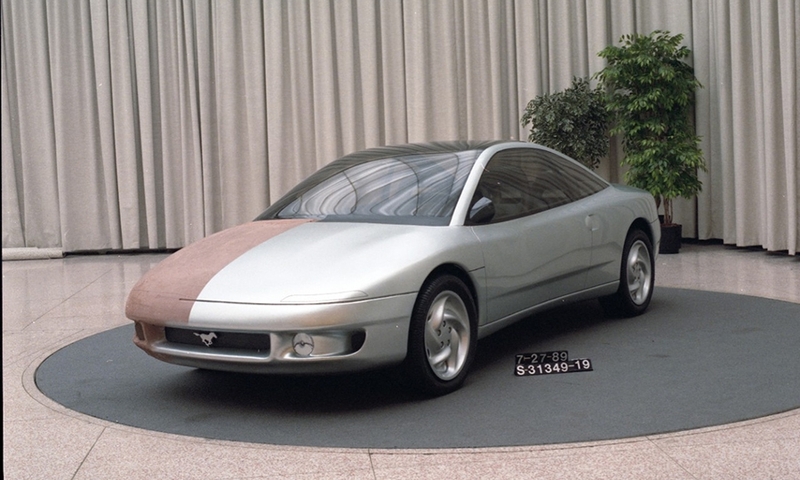 Click through our gallery to see the design that eventually became the Ford Probe and other potential avenues Ford could have taken the car.